all in the Grimsby & Cleethorpes area. 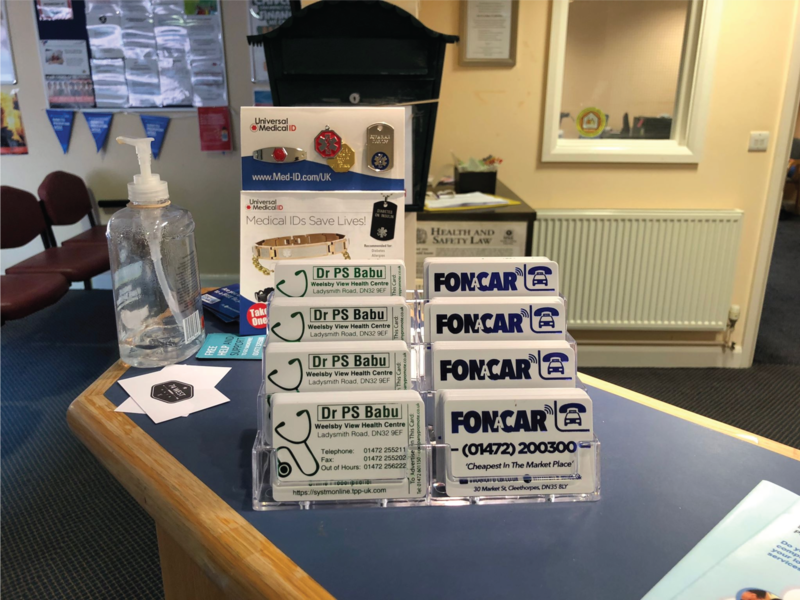 Plastic Cards are supplied and printed with the chosen establishments details on one side (Example: Pub, Medical Centre, Taxi Office or Restaurant etc) then your company advert printed on the reverse side with a fantastic metallic finish. 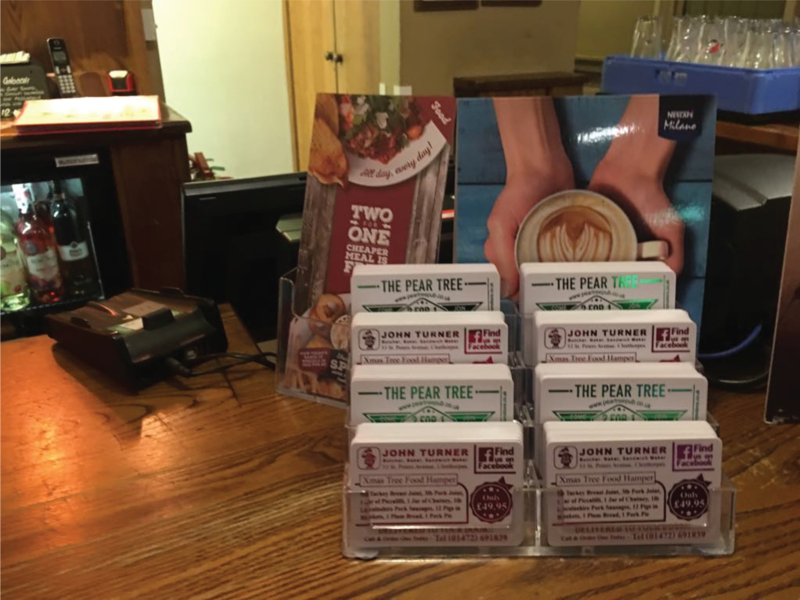 These cards are placed in prime locations, for example on the bar, or at reception in the medical centre. 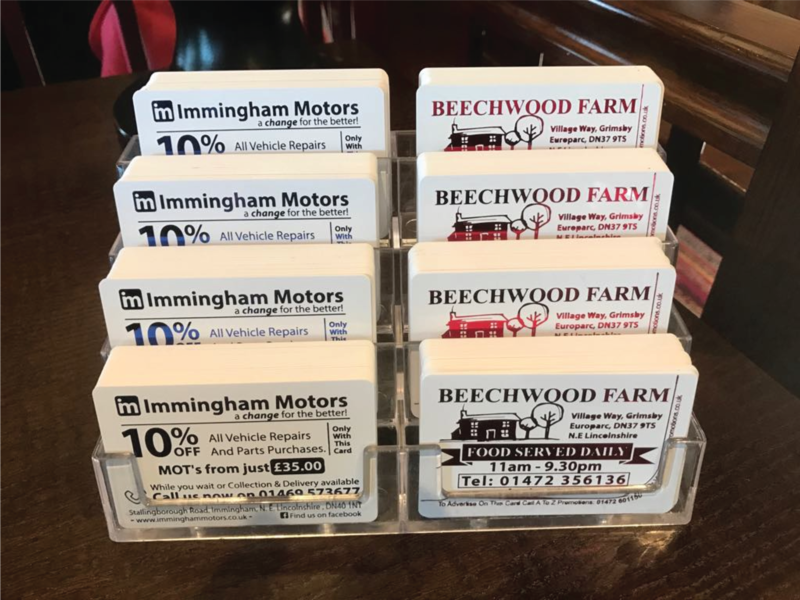 Ensuring maximum views of your advert and from there distributed directly to the public giving your advert maximum exposure. Cheaper And Longer Lasting Than Any Newspaper Advert! 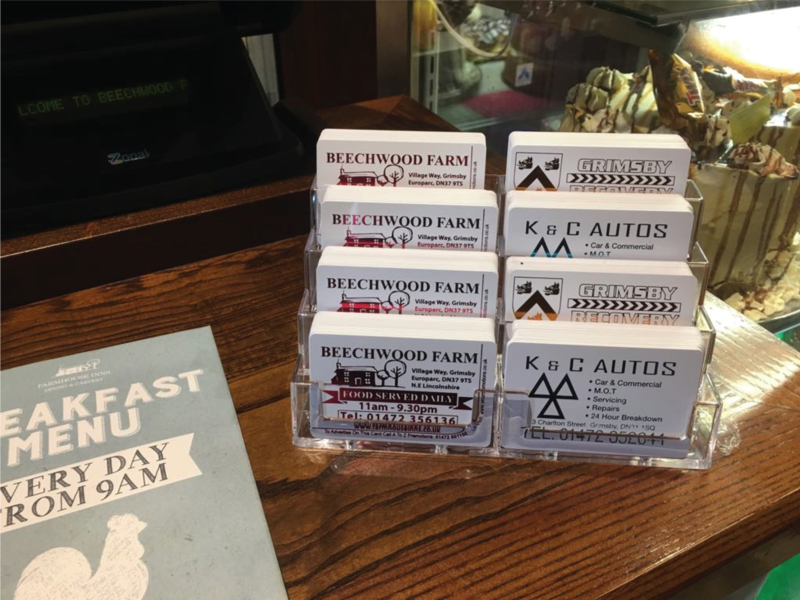 Plastic Cards Are A Fantastic targeted advert for your company. Printed on plastic credit card style cards with a high quality metallic reflective print finish. 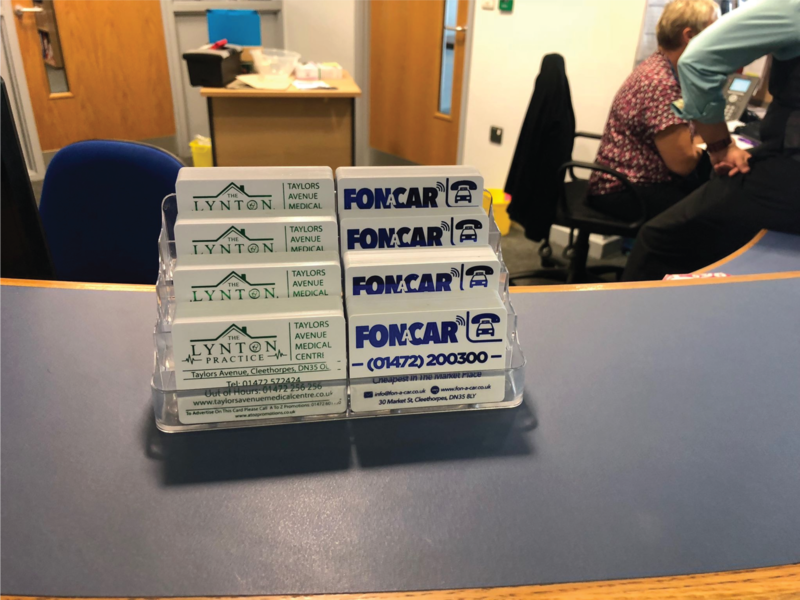 Advertising on our plastic cards could be substantially beneficial to your business as our cards encourage potential customers to carry your advert with them. 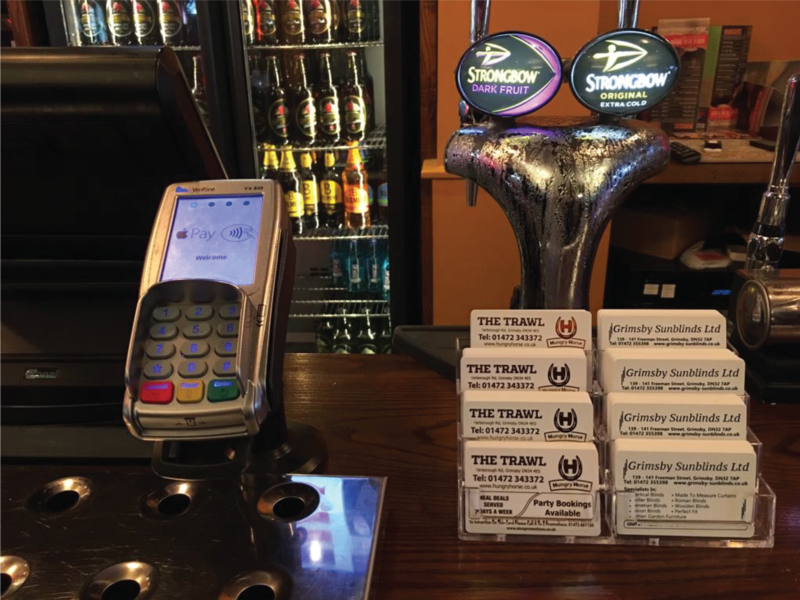 Plastic card advertising… long lasting advertising at an affordable price.